The UFC training gloves feature padded knuckles ensuring extra protection and have a cut finger design. They are designed for MMA enthusiasts and offer a durable vinyl finish, as well as enhanced wrap around straps to provide additional support. 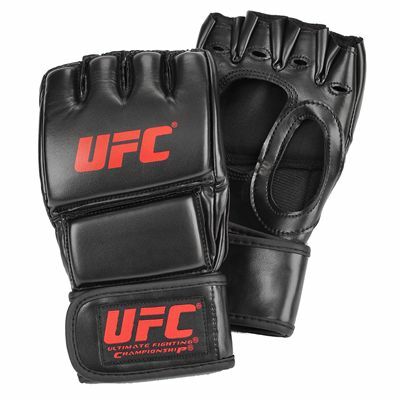 The gloves are produced from PU (100%) and have the Ultimate Fighting Championship (UFC) logo. for submitting product review about UFC Training Gloves.